 Seattle Central College's Broadway Performance Hall (BPH) features bright lights, professional sound and an unbeatable location in the heart of Seattle's bustling Capitol Hill neighborhood. Our stately theater is the perfect place to host or attend a performance, lecture, fundraiser or corporate event. Check out the Broadway Performance Hall events calendar to see what performances and shows are coming up. You can also plan your next event here by checking out the venue details and rental information.